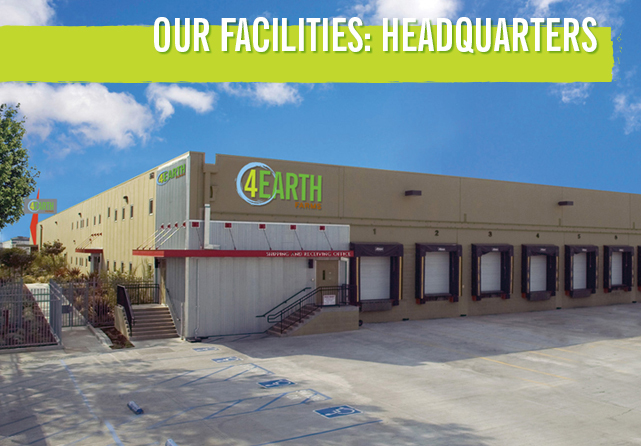 4Earth Farms stands at the year-round crossroads for the trade, here in the heart of Los Angeles, California. Our headquarters occupies more than eight acres adjacent to Interstate 5, just minutes from the Los Angeles Wholesale Produce Market. With 26 environmentally-sealed loading bays, 2 acres of off-street parking for trucks in queue, and operations humming 365/52/7/24, we’re able to get you loaded up and swiftly on your way outside peak traffic periods. Our state of the art facility is SQF certified and our experienced and professional team ensure the highest level of food safety, efficiency and expertise. With 26 environmentally-sealed loading bays, 2 acres of off-street parking for trucks in queue, and operations humming 365 / 52 / 7 /24, we’re able to get you loaded up and swiftly on your way outside peak traffic periods. 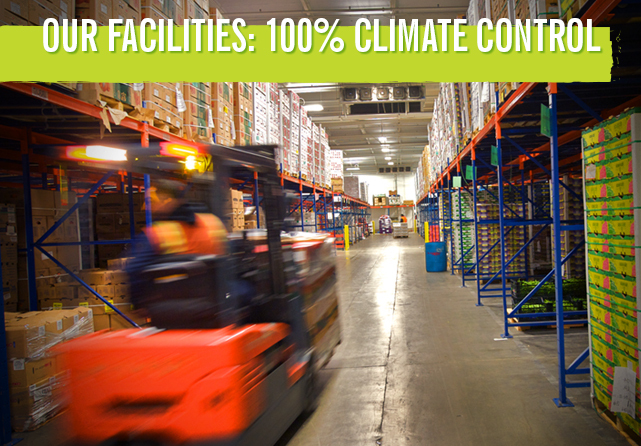 Our facility boasts 100% climate-controlled staging and storage in multiple flexible temperature-zones, including an isolated 20°F freezer, and a dedicated, isolated organic bay. This layout allows us to provide the precise temperature required for each commodity. 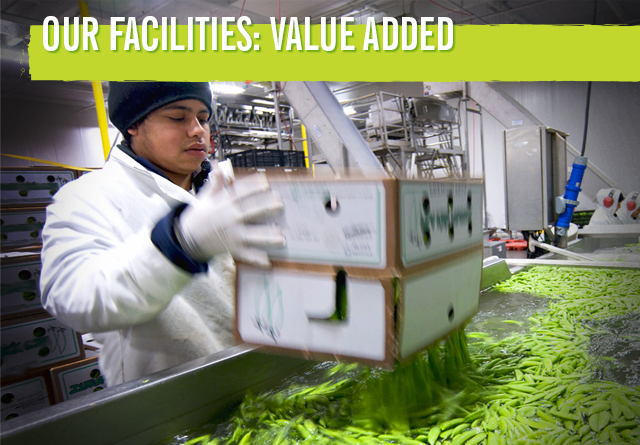 These exacting standards extend far beyond our facility and into every point in our supply line, guaranteeing that at each hand-off, our produce never leaves the cold-chain. 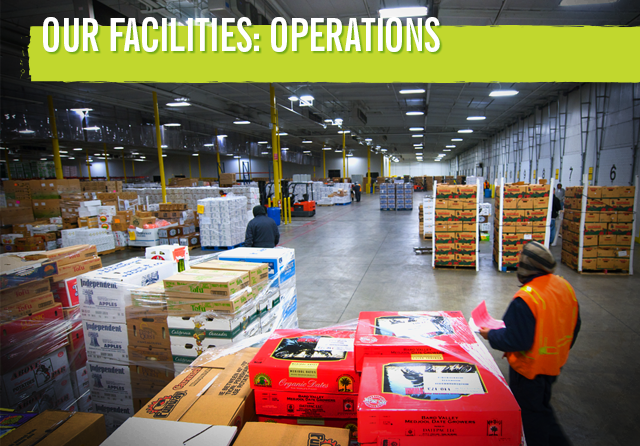 We house a 30,000 square-foot packing facility that offers a variety of options and technologies. These value-added solutions include: custom packing; bulk packing for foodservice; bagging and clamshell packing; over-wrapping and shrink sealing; modified atmosphere films that extend shelf-life; as well as customized coding and labeling.